Ernesto Valverde paid tribute to Lionel Messi after the Barcelona striker registered his 400th LaLiga goal in Sunday's 3-0 win over Eibar. Messi became only the second player to score 400 goals across Europe's top five leagues with his 53rd-minute strike, the Argentina international making himself some room before finding the bottom corner. He joins long-time adversary Cristiano Ronaldo in reaching the milestone, although Messi's have come in one league and for one club. Valverde was running out of superlatives to use when asked about the forward's record, while also mentioning his value in other areas of the pitch. "Messi's numbers are stratospheric," he told a media conference. "They are incredible. "Not only the goals, but also what he creates. He's from another galaxy." 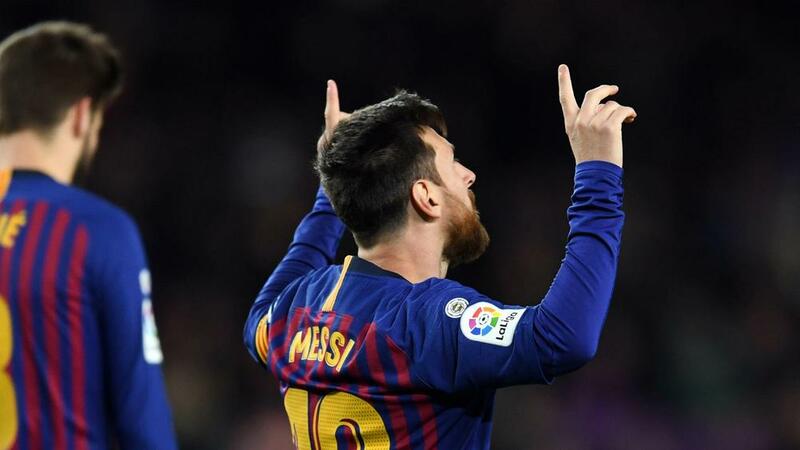 Messi's landmark strike came in between a Luis Suarez double, the Uruguayan taking himself to 14 league goals for the season after scoring for the sixth successive match against Eibar. However, Barca were far from their fluent best and Valverde paid tribute to the visitors' organisation. "They closed down very well," he added. "From the first minute until the last. They are the best team in LaLiga [at doing that]. "The difficult thing was to connect with our forwards, they [Eibar] closed the game very well and it made it very difficult for us. "Once we did, we were a dangerous team."